Navegue pelo Rio Danúbio à noite em um cruzeiro de 1 hora por Budapeste. Com uma bebida na mão, aproveite os famosos pontos turísticos de Budapeste às margens do rio, considerado um Patrimônio da Humanidade pela UNESCO. Opte por um upgrade com um cruzeiro que inclui charcutaria húngara, vinho e música (2 horas). Escolhi o por do sol como horário do cruzeiro e não me arrependi! Barco confortável, staff eficiente e discreto. 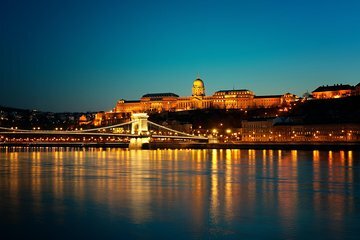 VALE A PENA ver a beleza de Budapest a partir do Danúbio...é maravilhoso, relaxante e único! Adorei! I recommend this boat trip. It is really good value for money. As it is unguided go later on in your trip so that you already know the buildings you are looking at. Da es im April erst ca 1940 dunkel wird und die Stadtbeleuchtung daher auch erst um 1930 abgestellt wird, empfiehlt es sich, keine frühe Tour zu buchen. Die Sicht auf die toll beleuchteten Gebäude am Ufer, auf der Buda Burg und auch die Brücken ist wirklich diese Fahrt wert. A great experience that I you don't wanna miss. We took the 8:40pm cruise and it was awesome. 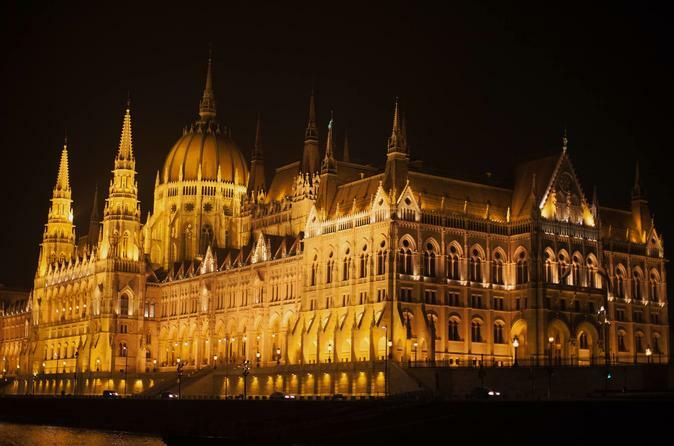 Budapest is wonderful at night!!! We took an hour long evening cruise. There was no commentary but the views are spectacular. The boarding pontoon was not so easy to reach. Quite a walk from the main area of Pest. We took a metro to Lehale then still had a 12 min walk (in the rain unfortunately).The mulled wine provided upon boarding helped warm us up. The evening got off to a bad start when the 'gentleman ' checking our tickets was extremely rude- shouting at everyone and shoving us back. None of the staff seemed friendly. No commentary, just terrible music. The dock is further out than most of the tour boats use. There are better trips available.